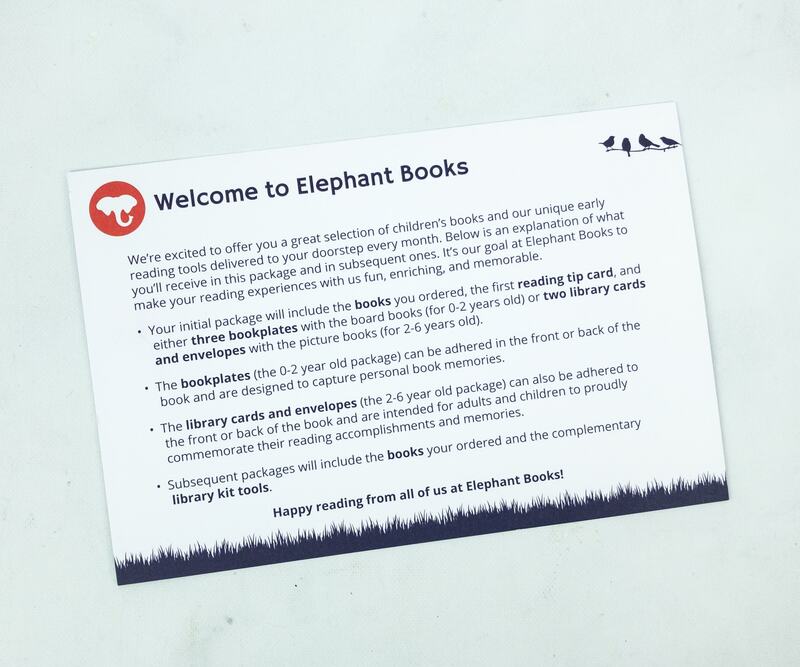 Elephant Books is a monthly book club for kids that delivers brand new, hardcover children’s books to your door monthly. 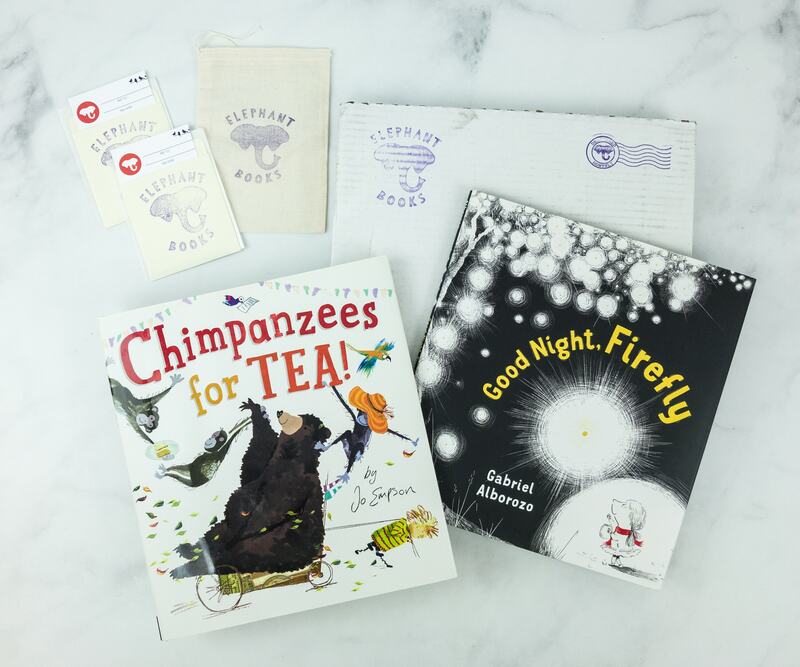 The entire experience – from books wrapped with traditional Kraft paper and grosgrain ribbon to engaging reading tools for children and parents – is designed to create special reading moments for families and life-long memories. 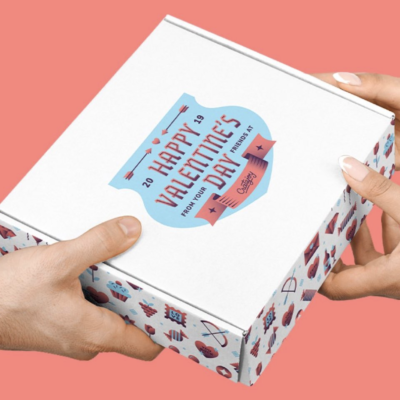 DEAL: Get 20% off your first box! Use coupon code HELLO. 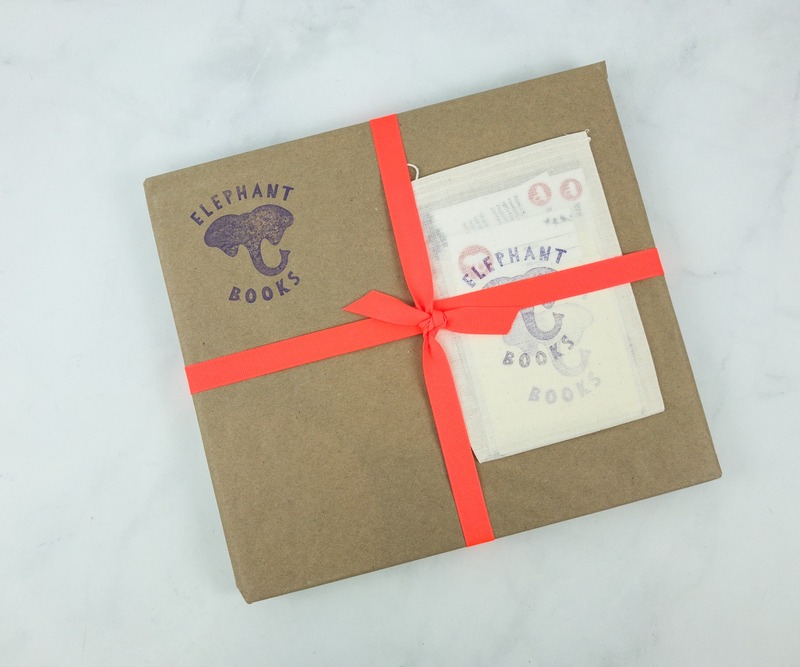 The books are sealed in a brown Kraft paper with a red grosgrain ribbon. 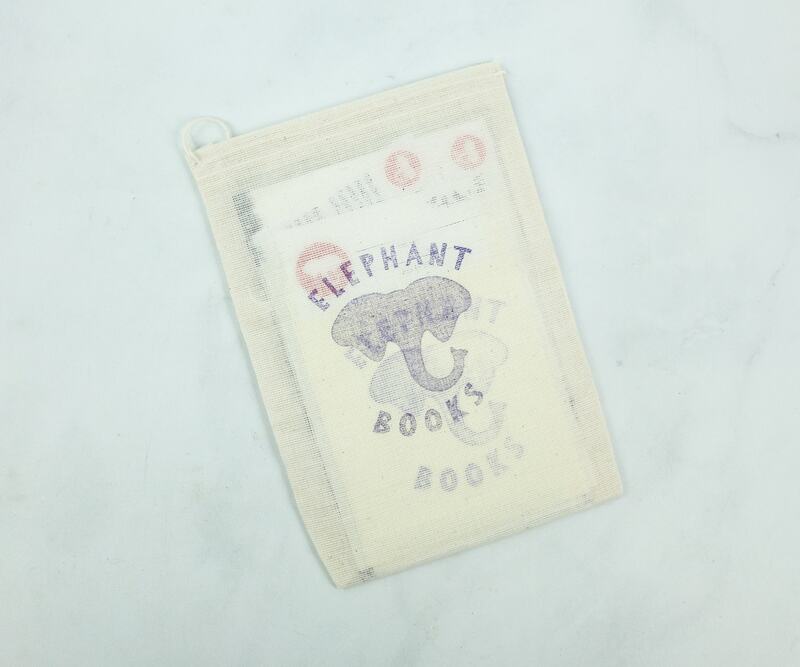 A small canvass drawstring pouch is also attached to the package. 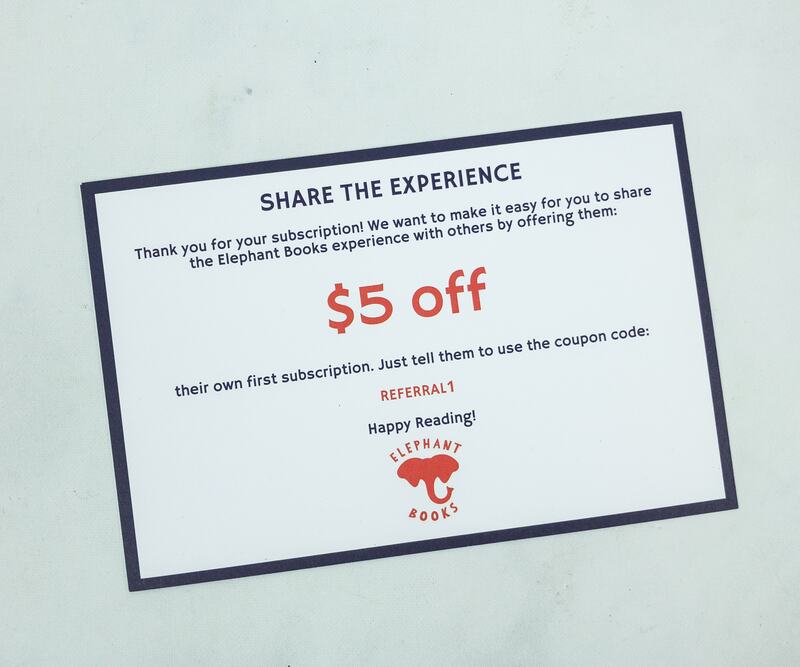 First card in the pouch is a voucher for a $5 off code that is meant or sharing. Another card is a complete description of what we will be receiving from this subscription every month. 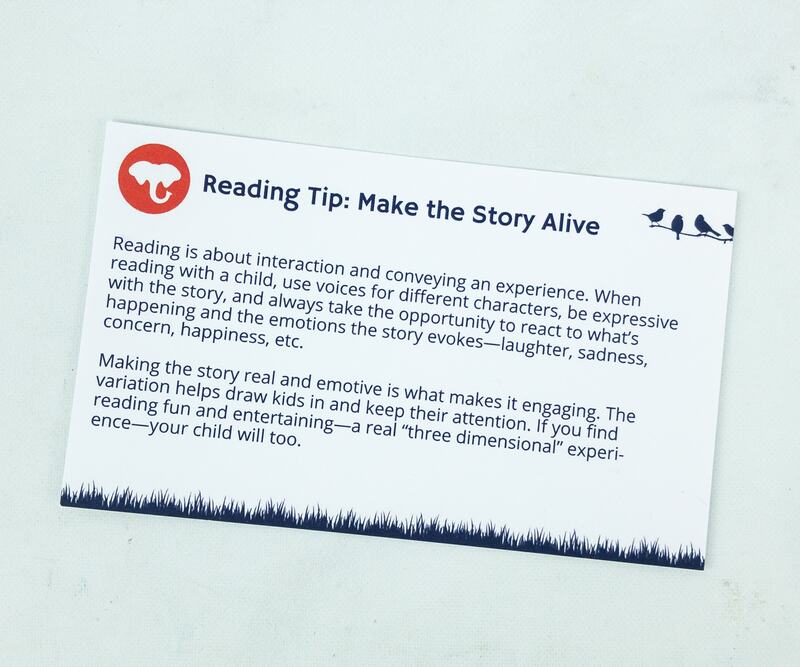 They also included a reading tip to keep storytelling time more lively, fun and engaging for our kids! Time to unwrap the book package itself! 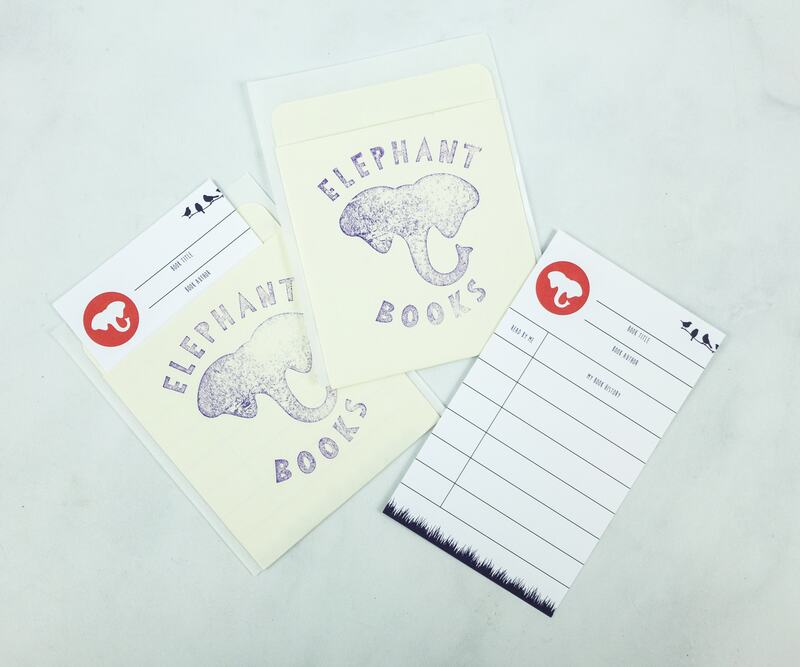 It’s cool that they recreated the interaction of the old-time lending library experience through these library cards. Now we can record each time a book is read, and with whom. It’s also another way to teach my kids the value and regular practice of reading! 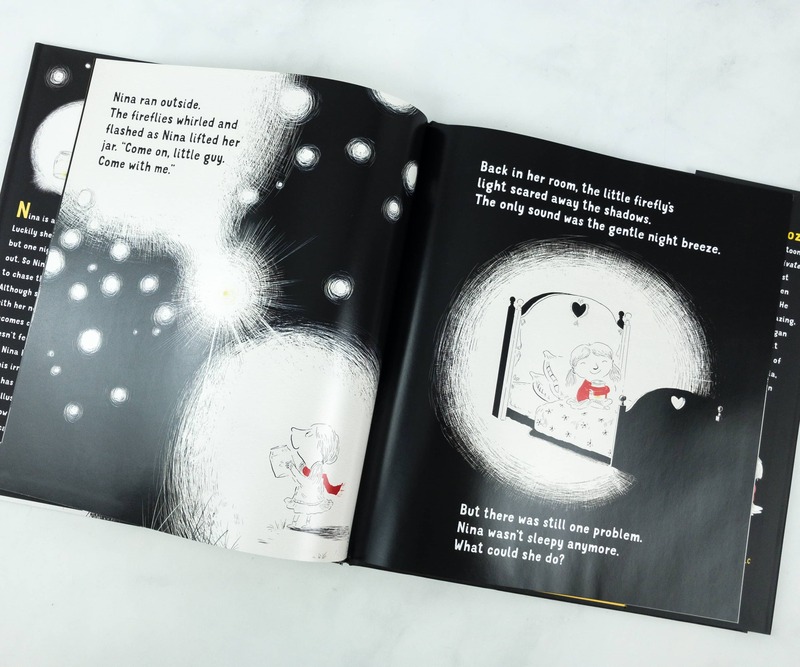 We received two magical and captivating picture books with stories that are relatable for kids and parents. A silly, fun version of the game “telephone”—in which a grocery list committed to memory goes playfully awry. One day, Vincent’s mother asks him to go to the store to pick up a few items: “a bunch of carrots, a box of rice, some China tea, a big, firm pear, and a tin of peas” to be precise. “And hurry home in time for tea!” she says. Sounds easy enough. Yet distractions are at every turn, causing havoc with Vincent’s memory. 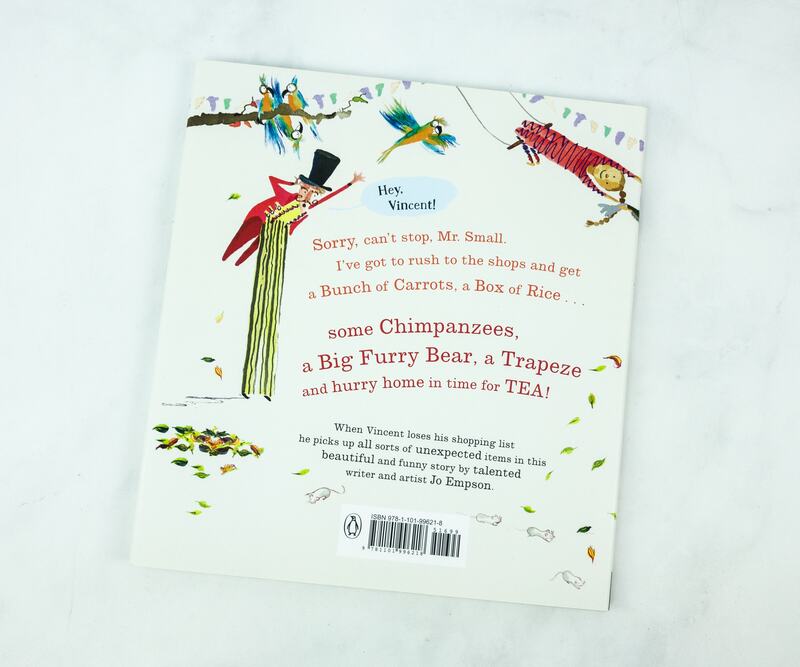 All of a sudden, a tin of peas is replaced by a trapeze; a big, firm pear becomes a big furry bear; and a box of rice transforms into a box of mice! Needless to say, Vincent’s mother is in for quite a surprise. 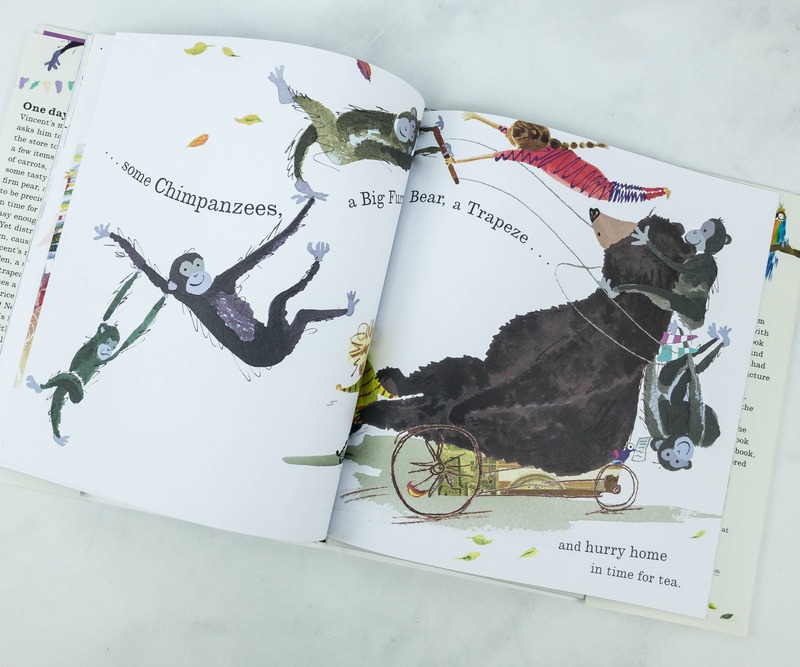 Told with a playful rhythm for reading aloud and illustrated with exuberance and great child appeal, this humorous picture book will have kids laughing and asking for repeated readings. 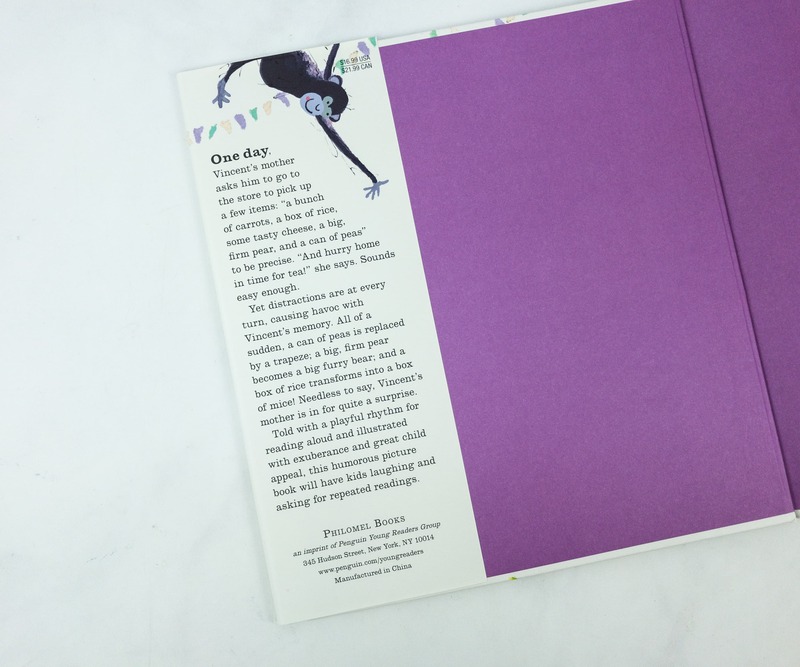 A synopsis of the story is written in fun colors and font with an amusing illustration at the back cover. Another synopsis is placed on the flap of the book along with the publisher’s details. 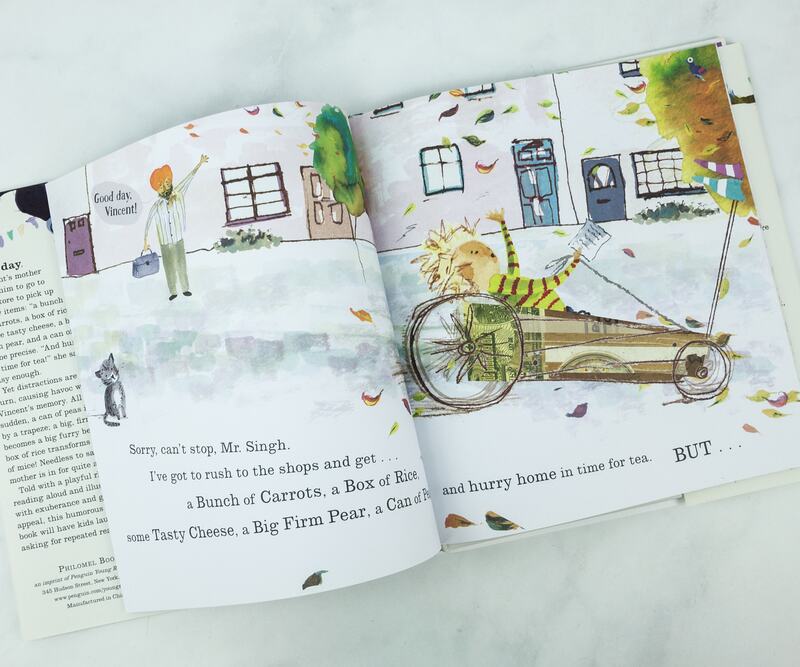 The first page shows a bold, colorful illustration of Vincent, a little boy who loses his mother’s grocery list on his way to the store. It’s so playful and full of movement! So what happened when Vincent lost the grocery list? He ended up bringing home a circus! The cute premise and silly illustration really made my kids crack up! Here is a magical bedtime story, sure to inspire readers with its message of friendship and kindness. Nina is afraid of the dark. Luckily she has a nightlight, but one night the power goes out. 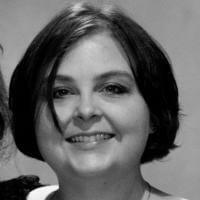 What can Nina do to keep the shadows from creeping in? She catches a firefly to keep her company. But soon it’s clear that what works for Nina is not good for her new friend, and so Nina has to make a decision. 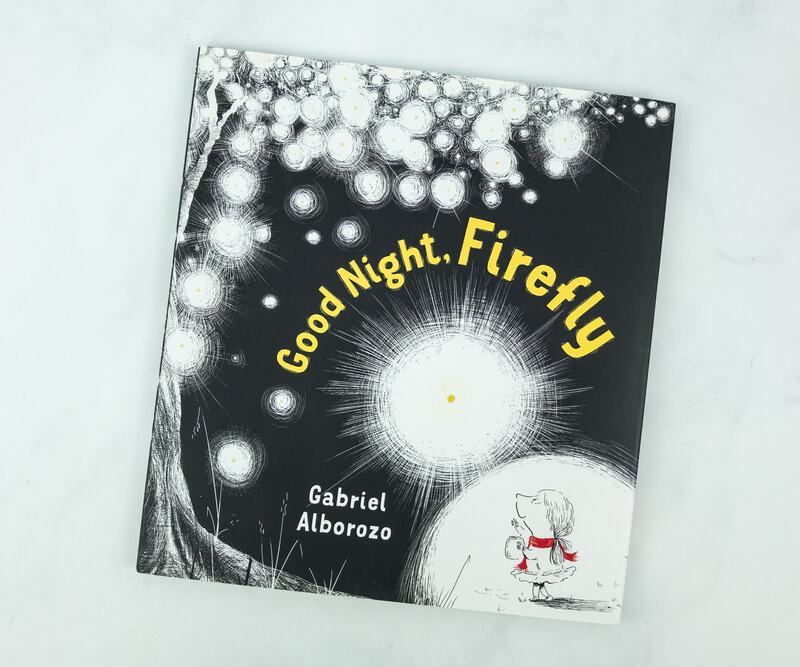 This is a story that celebrates the joy of doing the right thing―even when it’s not easy to do―with stunning black-and-white illustrations and fireflies represented by glowing spots of color―perfect to capture the effect of this heartwarming fantasy for the youngest child. Instead of a synopsis, they used a blurb at the rear cover of the book that surely intrigued and enticed my kids to read it. The summary of the story is tucked on the flap of the book. 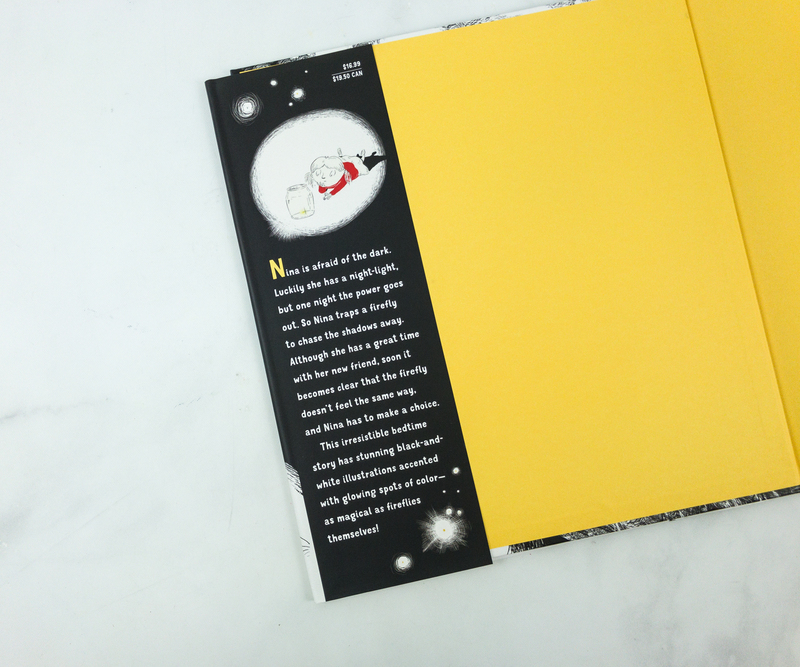 I think the black and yellow colors are a nice representation of the darkness and the bright light of fireflies! 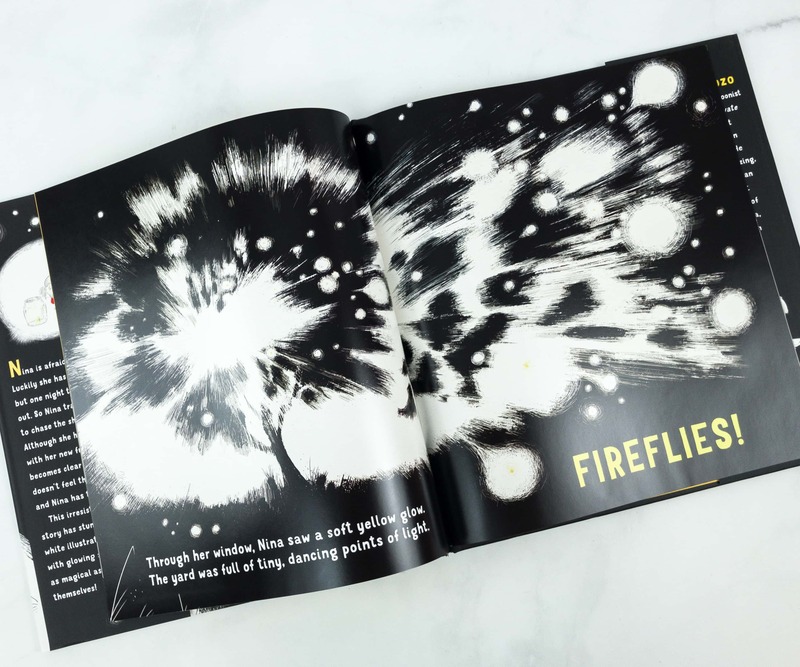 This page illustrates how fireflies can illuminate even the darkest of nights. The vivid black and white image splashed with small strokes of glowing yellow is very fascinating! 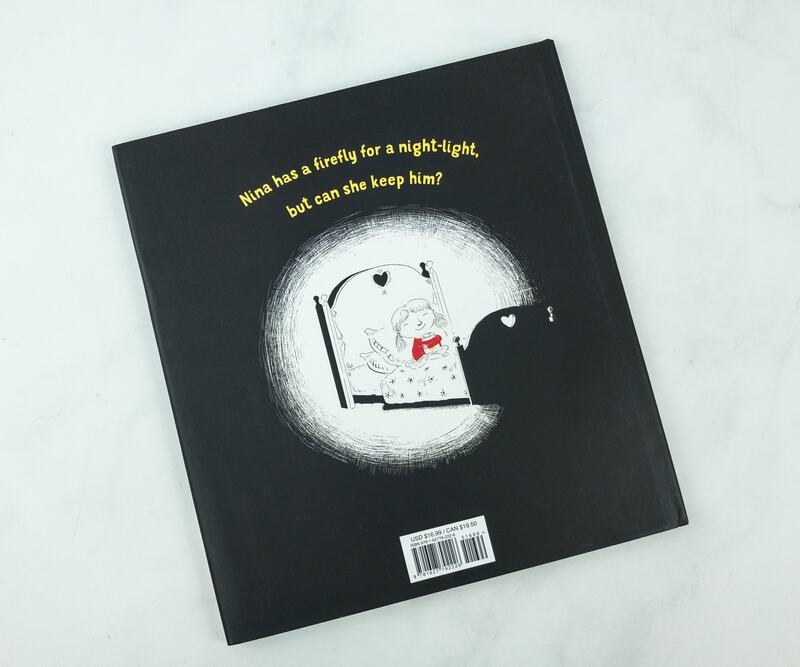 Overall, it’s a cute book about overcoming one’s fear of the dark and learning how to considerate others. We’ve also found out that fireflies make the best of friends when we’re afraid of the dark. 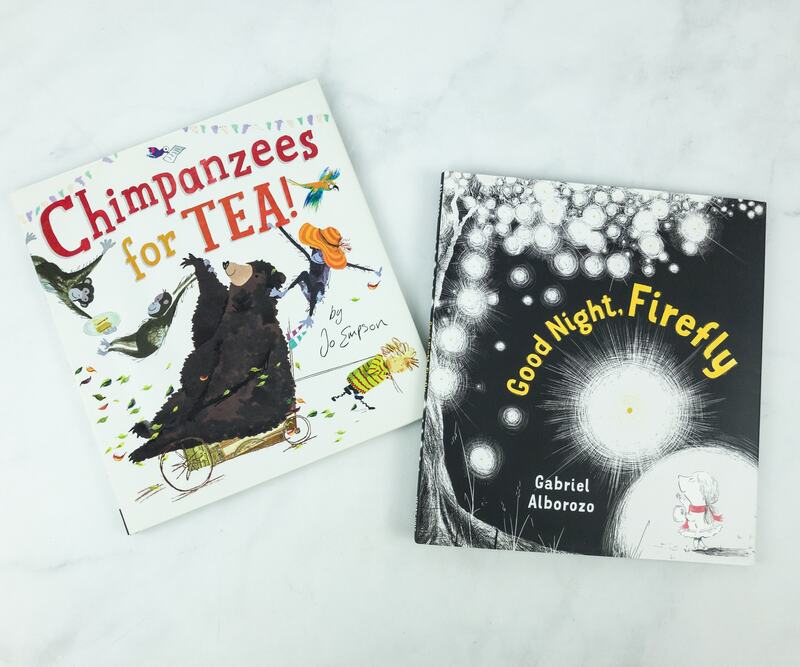 We had a great time reading these brilliant picture books! They fit my kids’ age group well. They are also well-paced and filled with awesome illustrations that suit the action and storyline. 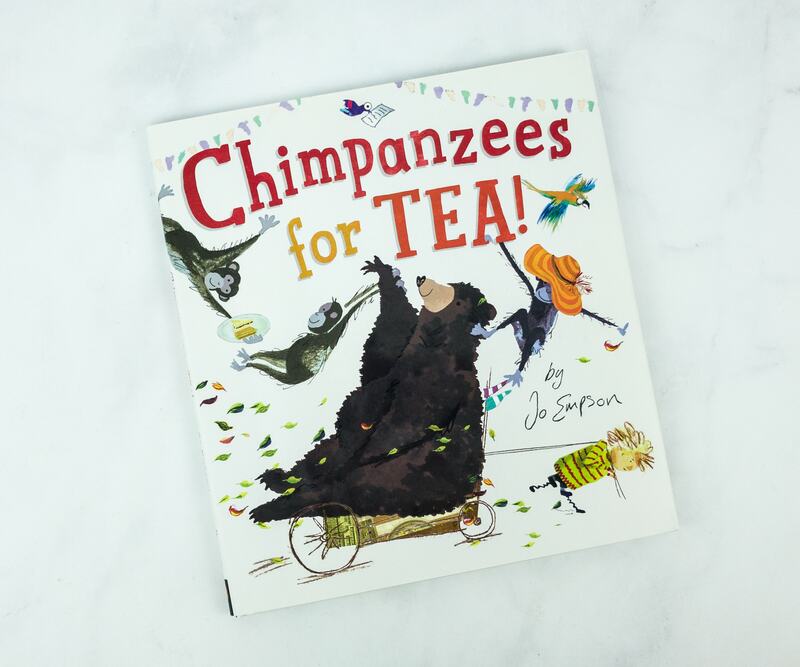 These are wonderful books that tackle a number of subjects like fear ranging from fear of the dark, respect for nature, making friends and turning off distractions to accomplish a task. In short, they are both a good read! 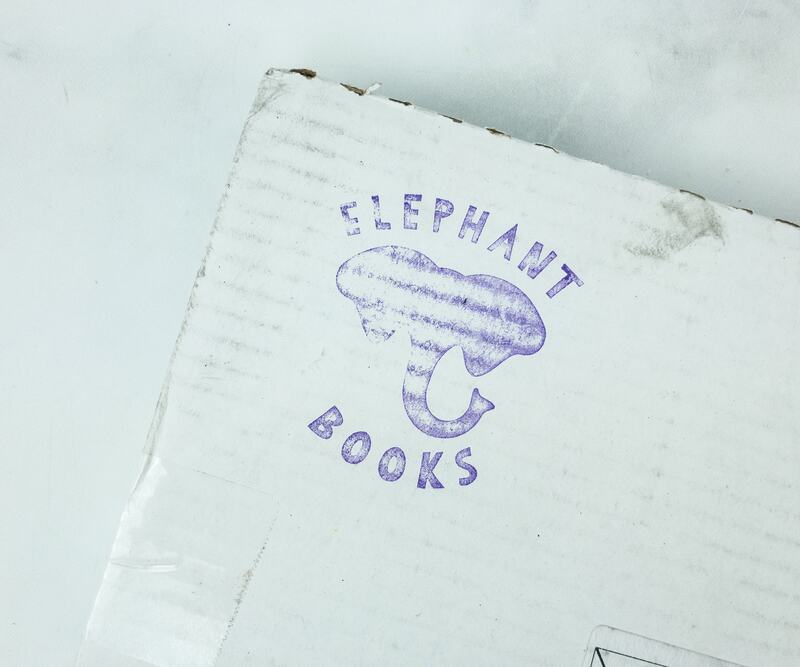 Visit Elephant Books to subscribe or find out more! 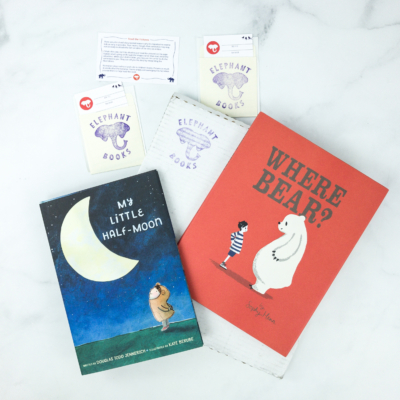 Elephant Book is a monthly service that delivers thoughtfully-sourced, brand new children's books to your door monthly. 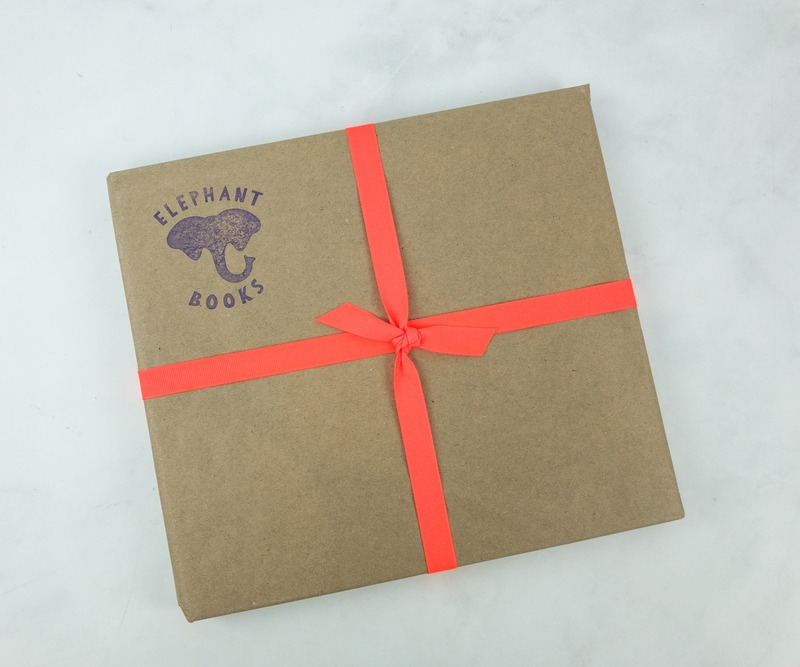 The entire experience -- from the books wrapped in traditional Kraft paper and tied with grosgrain ribbon to the fun and engaging reading tools for children and parents -- is designed to create special reading moments for families and deliver life-long memories that generations can enjoy. Get 20% off your first box! Use coupon code HELLO.